In the course of writing Balanchine and Kirstein’s American Enterprise, the real story of what happened during George Balanchine’s first decade in the United States, I’ve come across many things that Balanchine said to reporters. These comments by Balanchine on the record have not circulated as widely as his other sayings, whose origins are often somewhat obscure. Balanchine’s commentary makes for fascinating reading. Some of his remarks resonate with his most memorable sayings, such as his legendary pronouncement “Ballet is woman.” Others seem to contradict his later viewpoints. Some are humorous, and show the recently emigrated Balanchine playing the role of befuddled foreigner. Even others are just bizarre, such that one questions whether they are in fact his own viewpoints, or whether they were written by someone else. The reporters who transcribed and published these quotes no doubt worked very hard to get their facts right. So what kinds of things did Balanchine say to the press in the 1930s? Here are five of Balanchine’s most notable moments of “on the record” commentary. Want to read more things that Balanchine said in the 1930s? And would you like to find out more about the context in which Balanchine made these comments? Get your copy of Balanchine and Kirstein’s American Enterprise, to be released on November 1, 2018 and currently available for pre-order. 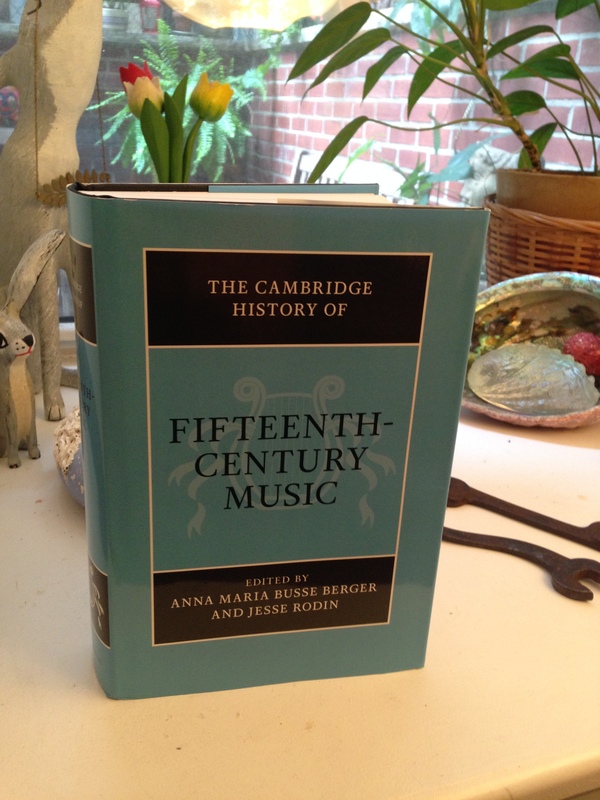 So excited to see the publication of the Cambridge History of Fifteenth-Century Music, for which I translated five essays! Coming soon to a library or JSTOR platform near you! 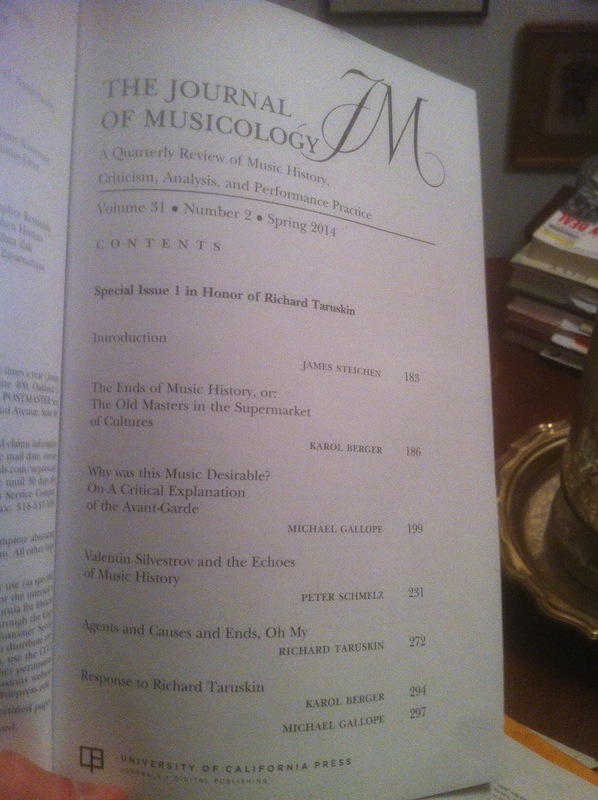 Two special issues of the Journal of Musicology in honor of Richard Taruskin. These six contributions were first presented at “After the End of Music History” (aka “Taruskinfest”), the conference for which I was co-organizer in February 2012 at Princeton. Special bonus: the first issue includes a response from RT himself, with a Wizard of Oz allusion in its title, no less! What a fantastic meeting of the Society for American Music this past weekend! 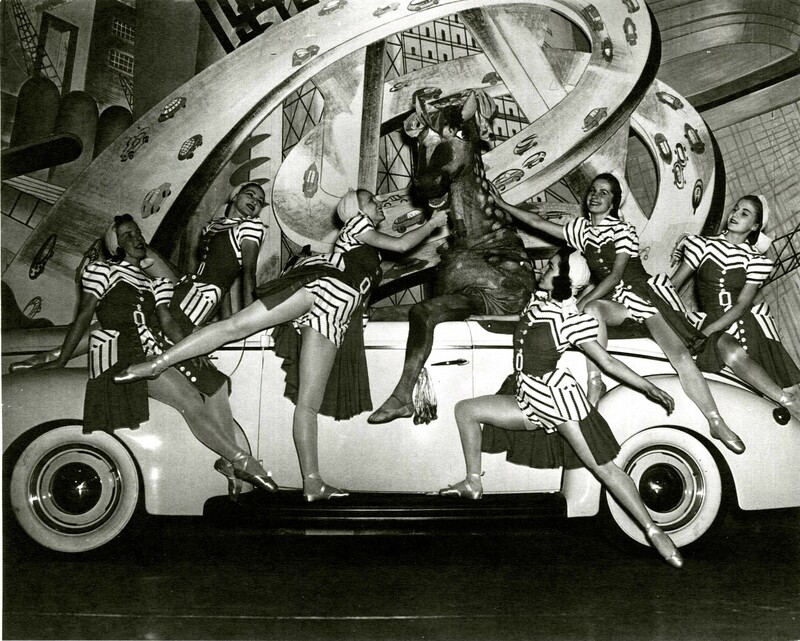 And what fun to get to present about one of Ballet Caravan’s last gigs, their performances for the 1940 World’s Fair Pavilion of the Ford Motor Company, starring Dobbin the horse! (Yes that’s two men in the costume…) Although it might seem silly at first glance, A Thousand Times Neigh, a short ballet that told the story of the transition from the horse to the automobile, was universally praised by critics. Variety called it an “ace attraction,” and the New York Sun predicted that “Dobbin is destined to be one of the great names in American ballet.” John Martin in the New York Times was also quite taken by the ballet, arranged by William Dollar, praising it as “choreography that clings to the academic ballet tradition without being in the least highbrow.” Whether this had any bearing on the decision by Ford Foundation to make major grants to ballet in the late 1950s remains to be seen! Many thanks to Andrew Weaver and the Catholic University of America Musicology Colloquium for inviting me to present today! I spoke about my ongoing research on two of George Balanchine’s early American ballets, Serenade and the Ivy League satire Alma Mater. 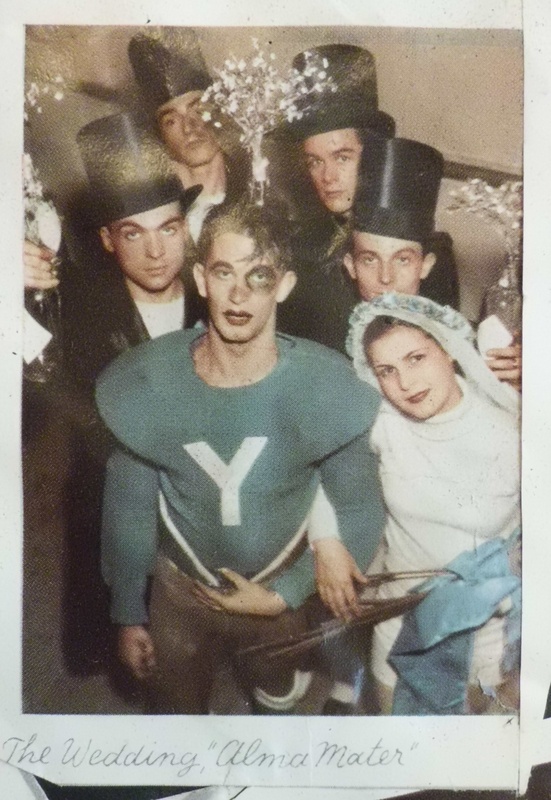 This picture of part of the Alma Mater cast shows the football Hero with his bride and groomsmen and is from a photo spread done by the American Ballet for Vanity Fair in 1935.